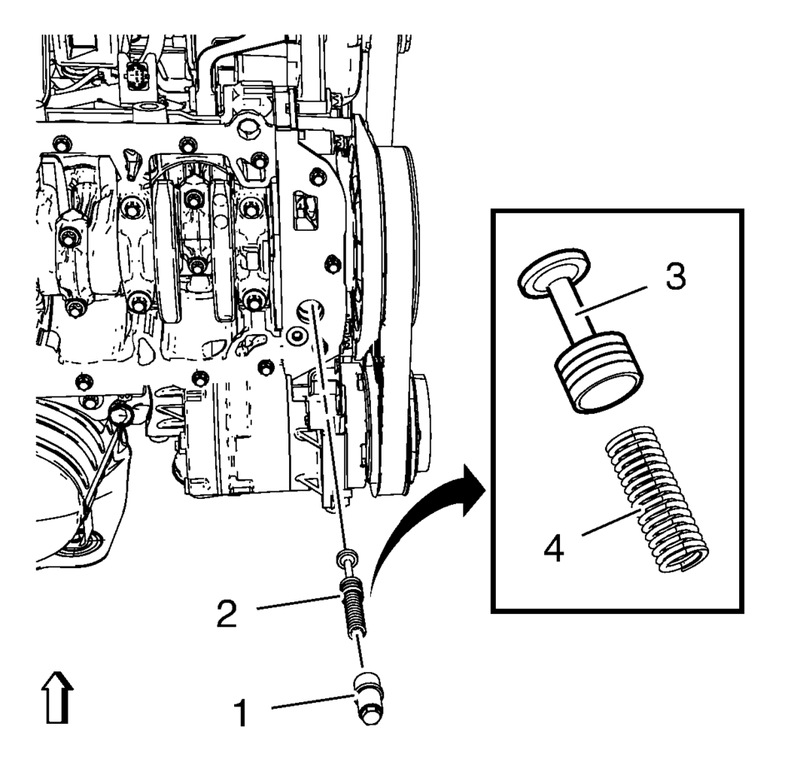 Remove the oil pressure relief valve closure bolt (1). Remove the oil pressure relief valve assembly (2). Separate the piston (3) and the spring (4). Bodily injury may occur if the cleaning solvent is inhaled or exposed to the skin. To avoid eye injury, use approved safety lenses, goggles, or face shield when using buffing and cleaning equipment. Install the piston (3) and the spring (4). Install the oil pressure relief valve assembly (2).